For the last 10 years the biomedical world has been in a continuous transition towards smaller and smaller sensing devices. Biometric monitoring devices for health and fitness have made significant progress in the area of wearable sensing, with a huge number of products currently on the market. The next generation of sensing devices are intended to provide accurate local monitoring of usually non-accessible human body parameters. Their use can reduce the need for stressful invasive procedures, which often necessitate expensive hospital admission. Such devices are the Lumee Oxygen Sensing System, developed by Profusa and recently trialed, and the custom-manufactured indigestible gas sensor currently being tested by researchers at the RMIT University in Melbourne, Australia. Profusa’s unique bioengineering approach overcomes the largest hurdle in long-term use of biosensors in the body: the response to a foreign body. The tiny oxygen monitoring biosensor is a soft, flexible fiber, approximately 3 to 5 mm long and 500 microns in diameter. It is designed to be biologically compatible with the body’s tissues for long-term monitoring of up to two years, whilst overcoming the effects of local inflammation or rejection. Providing medical-grade data, the biosensor is made of a porous “smart gel” that mimics the 3D microenvironment of cells. The smart gel is linked to a light-emitting molecule that emits a fluorescent signal in the presence of one or more body chemicals such as oxygen, glucose, lactate, or other biomarkers. Adhered to the skin’s surface or held by hand, a separate optical reader is used to read the fluorescent signal from the embedded biosensor. The reader sends excitation light through the skin to the biosensor, which then emits fluorescent light proportional to the amount of biochemical measured. Results from the optical reader can be transmitted to a smart phone application or the optical reader could be embedded into a wearable device (i.e. smartwatch). 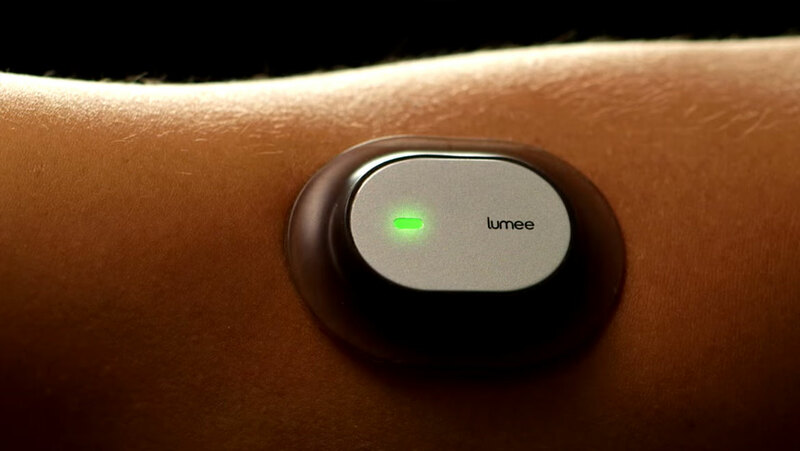 The first-in-human study suggested that the Lumee Oxygen Sensing System could report local tissue oxygen levels during surgery for peripheral artery disease (PAD), as well as post-operatively for 28 days. The system also posed a low risk to patients during the study. While the oxygen sensing capability of the sensor was envisaged as a proof of concept, it turned out to have multiple applications. Profusa is also focusing on other monitoring sensors, including glucose, lactate, creatine and urea. The approval of the oxygen sensor for use in monitoring peripheral artery disease is expected within the next few months both in Europe and the USA. The team of researchers from RMIT University have also designed, manufactured and recently tested a smart capsule which can measure intestinal gases inside the body. Intestinal gases have been linked to colon cancer, irritable bowel syndrome (IBS) and inflammatory bowel disease (IBD). Their role in health is poorly understood and there is currently no easy and reliable tool for detecting the presence of these gases inside the gut. The smart capsules have been designed to send data from inside the gut directly to a smartphone. The first animal trials using these smart gas sensing capsules examined the impact of low and high-fiber diets on intestinal gases. The smart capsule is made up of a sensor and sensor array for intestinal gas sensing, as well as a small-sized power supply. A gas-permeable membrane, impermeable to liquids, covers the sensor. In addition, a microcontroller and a 433 MHz wireless transmitter are needed to obtain, convert, and process raw sensor responses into digital data and subsequently communicate the data with an external receiver. The capsule has small dimensions (about the size of a fish-oil capsule) and its production cost is estimated as low as $15, although this is expected to decrease with large scale production. Such advances of biometric monitoring technology have created opportunities to design and manufacture more reliable, accurate and cost-effective diagnostic devices, which can hopefully be used to augment personalized health monitoring and treatment.